President Mugabe left the country yesterday for Havana, Cuba, to attend the burial of that country’s founding President Fidel Castro Ruz who died last Friday at the age of 90. 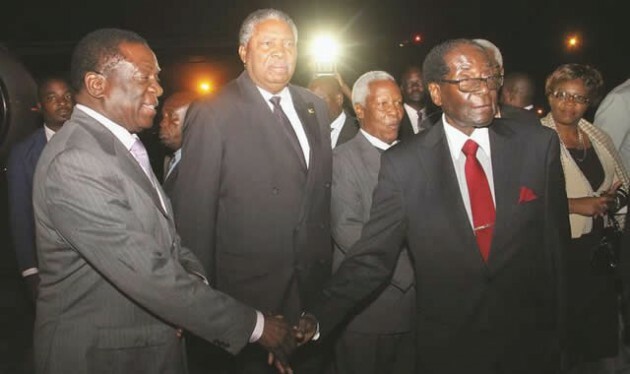 President Mugabe, who was seen off at Harare International Airport by his two deputies Cdes Emmerson Mnangagwa and Phelekezela Mphoko, Cabinet ministers, services chiefs and senior Government officials, was accompanied by Health and Child Care Minister Dr David Parirenyatwa, among other officials. VP Mphoko is the Acting President. President Mugabe joins other Heads of State and Government attending the burial of a man who spent decades fighting more than 10 US administrations’ economic embargo on the Caribbean island. Cde Fidel, a revered guerilla leader, together with Che Guevara and others led the revolution that saw the overthrow of the Batista regime in 1959 and ruled Cuba for five decades. He died almost 10 years after stepping down from power due to poor health and after having ceded power to defence minister Raul Castro Ruz, his brother. The late Cuban leader was admired by many African and developing countries the world over as they saw him as a revolutionary who stood up against the US that bullied and vilified poor countries. Cde Fidel’s body was cremated on Saturday in line with his wishes: “According to the will expressed by comrade Fidel, his body will be cremated in the early hours” of November 26, 2016, said President Raul. The government declared a nine-day period of mourning. His cremated ashes will be laid to rest at the Santa Ifigenia Cemetery in Santiago de Cuba on December 4. Reports say the Cuban Government invited people to Havana’s Revolution Square for a two-day ceremony with a thunderous cannon salute that could be heard throughout much of the capital. The world is indeed mourning the death of Cde Fidel, a revolutionary par excellence. Algerian President Abdelaziz Bouteflika on Saturday declared eight days of national mourning in honour of one of the 20th century’s iconic figure. The Democratic People’s Republic of Korea also declared three days of mourning and said it would keep flags at half-mast to honour Cde Fidel, its state news agency KCNA said. In Japan, Kyodo said a senior lawmaker would head to Cuba in lieu of Prime Minister Shinzo Abe.